The Americans with Disabilities Act was designed to prevent discrimination against disabled persons living in the United States. If you use a wheelchair or are otherwise disabled, the Americans with Disabilities Act will protect your rights in the workplace, and in state and federal agencies. If you are wondering about how the Americans with Disabilities Acts affects you, here is an overview of some important information about this law. The Americans with Disabilities Act covers several types of disabilities. You are covered by the Americans with Disabilities Act if you are impaired either mentally or physically. 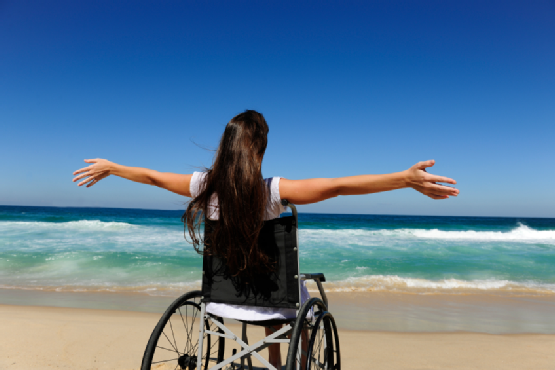 If your disability inhibits activities in your life, you are eligible for coverage under the act. You are also covered by the act if you are regarded as having a disability, or have a record of a disability. Under the Americans with Disabilities Act, employers are required to make reasonable accommodations for persons who are able to perform the functions required by a specific job or position. For example, an employer is required to provide a wheelchair ramp or lift for an employee that uses a wheelchair for mobility. The Americans with Disabilities Act also prevents employers from inquiring about the medical history of a person with a disability. This portion of the act is designed to protect the privacy and confidentiality of disabled persons. An employer is only able to require a medical examination that is also required of all other employees. At Williams Lift Company, we offer a wide range of stair lifts, chair lifts, and handicap ramps. If you are seeking a mobility solution for your home or workplace, our experts will be there to help. For more information about the wheelchair lift and ramp services we provide to the New Jersey area, give us a call at (908) 322-7070.